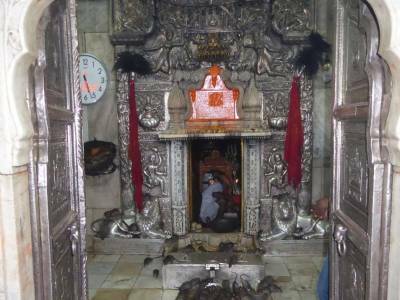 The Karni Mata Temple is situated 30 kilometres from the city of Bikaner in a place called Deshnok in Rajasthan, a state in the west of India. 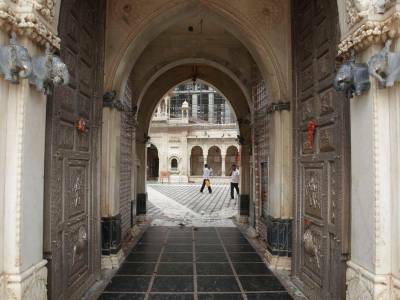 It is also known as the temple of rats or Rat Temple in India. 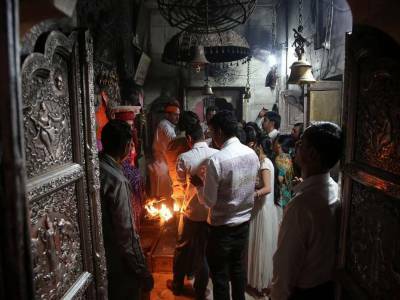 As a matter of fact, it draws massive number of tourists from all over the world who come to watch in amazement the resident dwellers of the temple, up to 25,000 black rats. Legend has it that Karni Mata, implored the messenger of death called Yama according to Hindu scriptures and ordered him to restore to life one of her most beloved children who fell into a lake and drowned while attempting to drink water out of it. Initially reluctant to budge against the laws of creation and Nature, Yama, besieged by Karni Mata's repeated requests to restore her child to life made him reincarnate as a rat, Hence the profound number of rats in this temple and devotees believe it to be very honourable and extremely holy to be able to receive offerings that have been offered to the Karni Mata, that have been nibbled by the rats. It is this strange ritual of offering food to rats and then partaking with the food that has been nibbled by the rodents with immense faith and pleasure, is what draws curious tourists from all over the world, wishing to have a firsthand view of this singular spectacle of its kind. 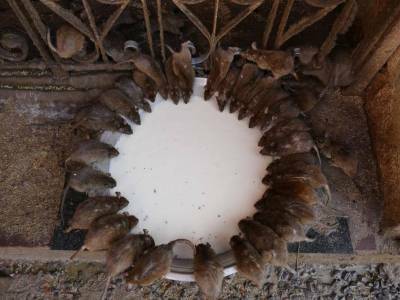 Among the numerous black rats is also present four white rats, slightly smaller in stature and devotees believe these white rats and the reincarnated form of Karni goddess and her children and hence even more revered. Devotees go extra lengths to draw out the white rats by offering choicest sweets to lure them out so that the white rats may nibble on their offerings and they can partake on the nibbled sweets as special oblations from the goddess Karni herself. Such is the stringency regarding the revered stature of the resident rodents, that if any one of them is killed by any chance they have to be replaced by a silver replica of the rodent. 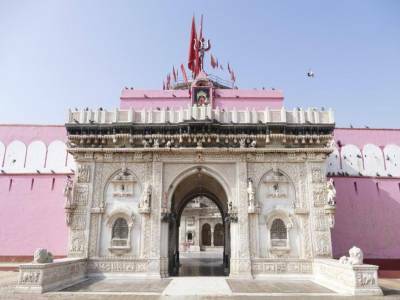 Get quick answers from travelers who visit to Karni Mata Temple.